University of Arizona Press, 9780816535620, 168pp. The characters here represent all walks of L.A. life—from Satan’s reluctant Craigslist roommate to a young girl coping with trauma at her brother’s wake—and their tales ebb and flow among various styles, including magical realism, social realism, and speculative fiction. Like a jazz album, they glide and bop, tease and illuminate, sadden and hearten as they navigate effortlessly from meta to fabulist, from flash fiction to longer, more complex narratives. These are literary sketches of a Los Angeles that will surprise, connect, and disrupt readers wherever they may live. 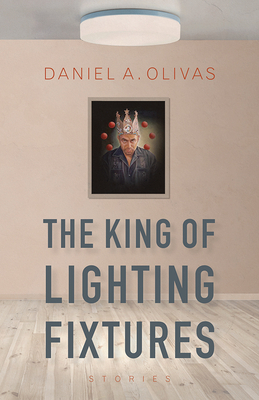 Daniel A. Olivas is the author of seven books, including The Book of Want: A Novel and Things We Do Not Talk About: Exploring Latino/a Literature through Essays and Interviews. He earned his degree in English literature from Stanford University, and law degree from the University of California, Los Angeles. Since 1990, Olivas has practiced law with the California Department of Justice. A second-generation Angeleno, he makes his home in Los Angeles with his wife.